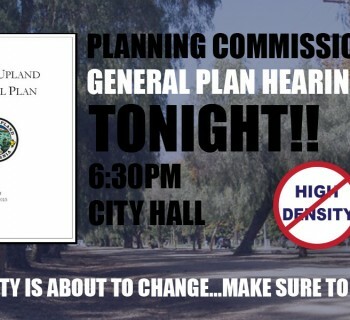 Tomorrow is Upland's Planning Commission Hearing for the proposed new "Politically" motivated General Plan. Some major themes in the proposed plan include: compact, dense, urban development, reduced parking for projects, reduced car use, promoting walking and riding a bike over automobile travel, branding neighborhoods, single-family homes as the second biggest polluter in Upland (after cars), placing garages behind new homes in small alleys, building condos on top of retail locations, bringing new buildings to the front of the curb (no set-backs) to encourage bus use and mass transit, designating streets as special Bus Rapid Transit (BRT) areas, and a load of other politically charged environmental extremist ideology including all of the desires of SCAG and SANBAG. 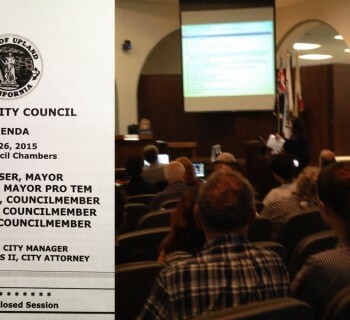 The proposed General Plan is absolutely not right for the City of Upland. 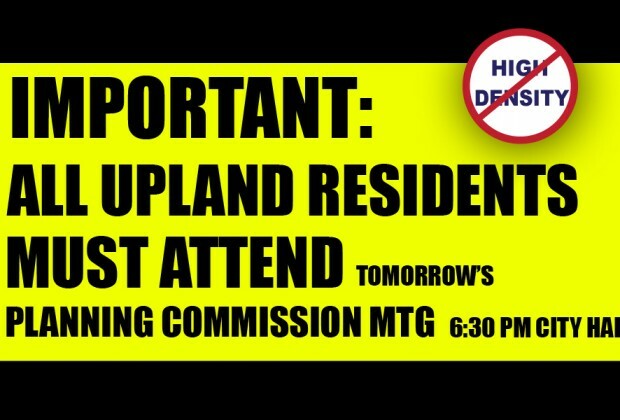 If you don't believe that top-down national political movements should be forced upon the residents of Upland, then you need to attend this meeting. Bring your friends, neighbors, and co-workers. 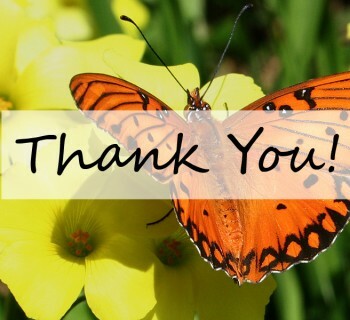 TELL THE PLANNING COMMISSION TO VOTE NO!!! !